Take your sandals to the next level wearing the Suecomma Bonnie Jewel Detailed Flat Sandal. Textured leather upper. Slip-on construction with adjustable pinhole closures. Open toe silhouette. Leather lining and insole. Jewel detail at sides. Synthetic outsole. Imported. This item may ship with an attached security tag. Merchandise returned without the original security tag attached or a damaged tag may not qualify for a refund. Measurements: Weight: 10 oz Product measurements were taken using size 38, width M. Please note that measurements may vary by size. Weight of footwear is based on a single item, not a pair. Walk a unique and different path wearing the Suecomma Bonnie Embellished Back Strap Loafers. Leather upper. Slip-on construction with slingback ankle strap. Round toe silhouette. Man-made lining. Lightly padded insole. Low block animal hoof heel with faux fur, beads, and jewel embellishments. Man-made outsole. Imported. This item may ship with an attached security tag. Merchandise returned without the original security tag attached or a damaged tag may not qualify for a refund. Measurements: Heel Height: 1 1 2 in Weight: 10 oz Product measurements were taken using size 38, width M. Please note that measurements may vary by size. Weight of footwear is based on a single item, not a pair. Accentuate your style with the unique look of the Suecomma Bonnie Faux Fur Embellished Velvet Loafers. Acrylic upper. Slip-on construction. Faux fur embellishment at vamp with faux pearl detail at toe. Textile lining. Lightly padded man-made insole. Low stacked heel. Man-made outsole with brand name and heart detail. Imported. This item may ship with an attached security tag. Merchandise returned without the original security tag attached or a damaged tag may not qualify for a refund. Measurements: Heel Height: 1 2 in Weight: 7 oz Product measurements were taken using size 38, width M. Please note that measurements may vary by size. Weight of footwear is based on a single item, not a pair. Lounge in the lap of luxury wearing the Suecomma Bonnie Glitter Flower Embellishment Sandals. Textile upper. Slip-on construction. Open toe silhouette. Flower detail at vamp. Textile lining and insole. Solid platform. Man-made outsole. Imported. This item may ship with an attached security tag. Merchandise returned without the original security tag attached or a damaged tag may not qualify for a refund. Measurements: Weight: 8 oz Product measurements were taken using size 38, width M. Please note that measurements may vary by size. Weight of footwear is based on a single item, not a pair. 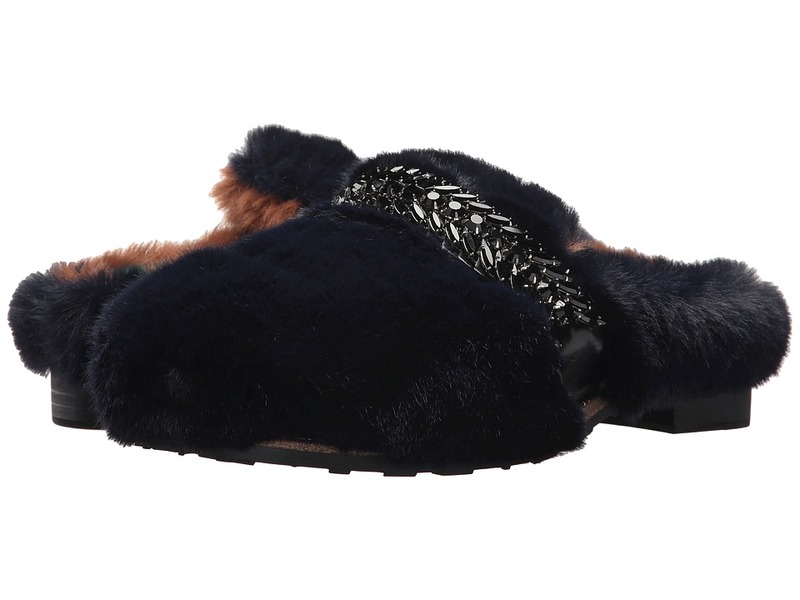 Envelope yourself in splendor wearing the Suecomma Bonnie Jewel Ornament Faux Fur Sandals. Acrylic upper. Slip-on construction. Round toe silhouette. Faux fur and jewel details at vamp. Faux fur lining. Lightly padded insole. Low stacked heel. Rubber outsole. Imported. This item may ship with an attached security tag. Merchandise returned without the original security tag attached or a damaged tag may not qualify for a refund. Measurements: Heel Height: 1 1 4 in Weight: 14 oz Product measurements were taken using size 39, width M. Please note that measurements may vary by size. Weight of footwear is based on a single item, not a pair. Be surrounded by comfort with a little extra flare wearing the Suecomma Bonnie Embellished Faux Fur Flat Sandals. Textile and synthetic upper. Slip-on construction. Open toe silhouette. Bead and jewel accent at vamp. Faux fur lining. Lightly padded insole. Platform. Rubber outsole Imported. This item may ship with an attached security tag. Merchandise returned without the original security tag attached or a damaged tag may not qualify for a refund. Measurements: Heel Height: 1 1 4 in Weight: 10 oz Platform Height: 3 4 in Product measurements were taken using size 38, width M. Please note that measurements may vary by size. Weight of footwear is based on a single item, not a pair. 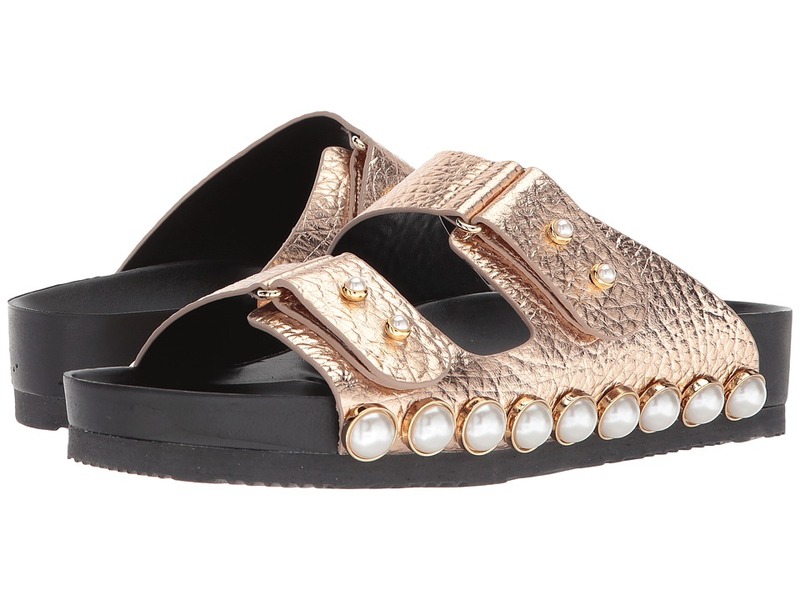 Adorn your feet with the sparkling beauty of the Suecomma Bonnie Jewel Buckles Flat Sandals. Textile upper. Slip-on construction with adjustable buckles. Open toe silhouette. Jewel encrusted buckles at toe and vamp. Textile lining. Lightly padded man-made insole. Man-made outsole. Imported. This item may ship with an attached security tag. Merchandise returned without the original security tag attached or a damaged tag may not qualify for a refund. Measurements: Weight: 9 oz Product measurements were taken using size 39, width M. Please note that measurements may vary by size. Weight of footwear is based on a single item, not a pair. Bring your unmatched and unique style to the party wearing the Suecomma Bonnie Strap Detailed Back Band Sandal. Metallic man-made upper. Pull-on construction with lace-up closure. Open toe silhouette. Faux pearl details throughout. Textile lining. Lightly padded insole. Thick platform heel. Man-made outsole. Imported. This item may ship with an attached security tag. Merchandise returned without the original security tag attached or a damaged tag may not qualify for a refund. Measurements: Heel Height: 2 1 4 in Weight: 12 oz Platform Height: 1 1 4 in Product measurements were taken using size 38, width M. Please note that measurements may vary by size. Weight of footwear is based on a single item, not a pair.